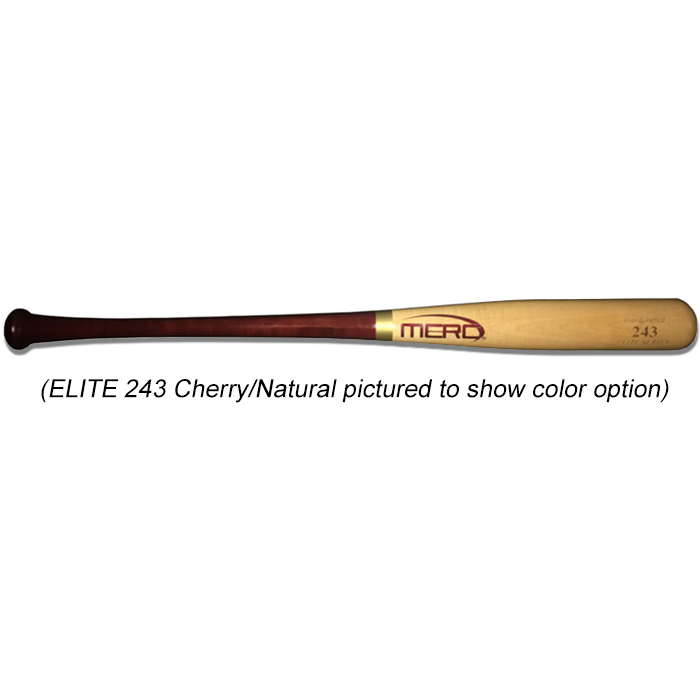 The new, MERC ELITE 271 is made from the best possible maple! 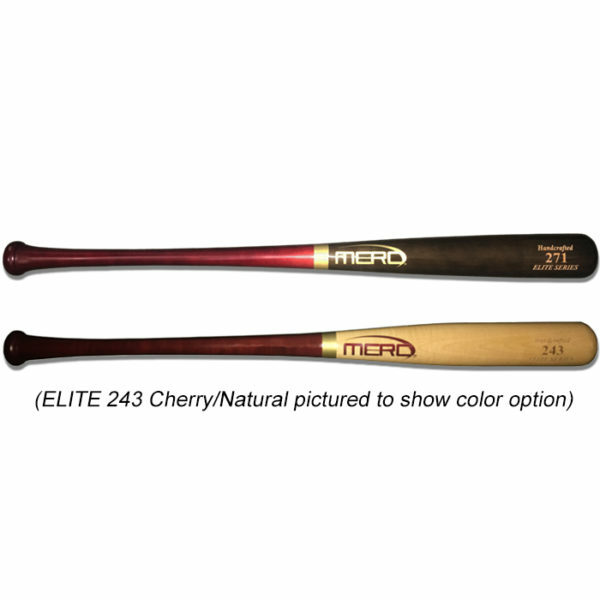 The quality rivals any bat on the market! 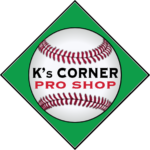 This bat is best for the professional, college and amateur players that are facing higher velocity pitching and expect results. 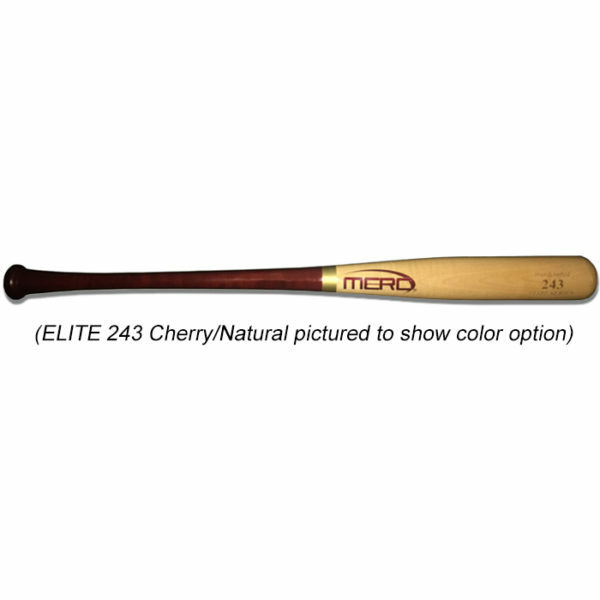 If you are able to feel the difference between good and great wood, this bat is for you. 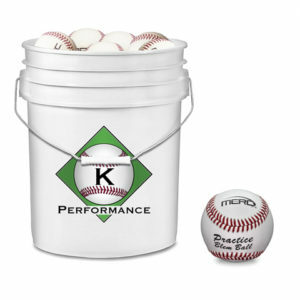 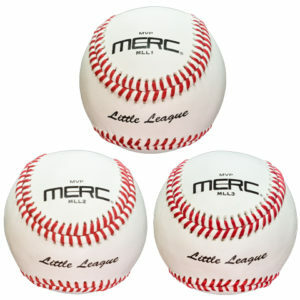 The 271 turn is our most popular model - as well as one of the most popular models among professional hitters. 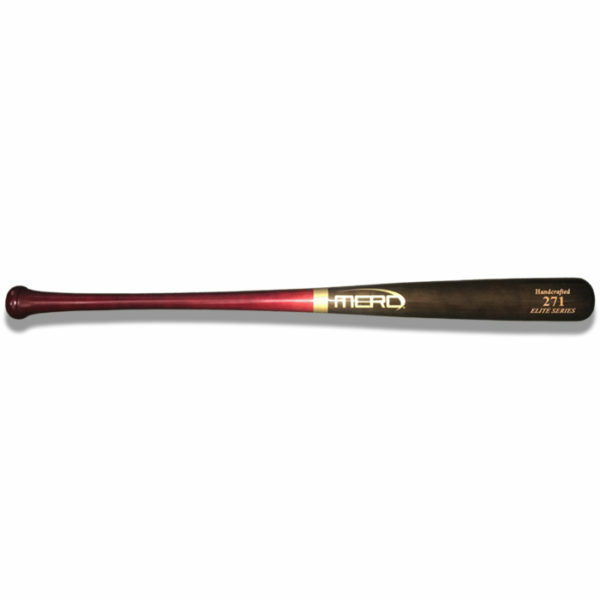 The large barrel, long taper and medium-to-thin handle with a tapered knob makes this bat very easy to swing and control through the hitting zone. 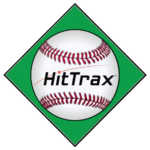 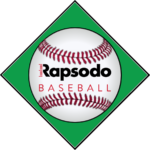 The balanced design creates a very fast swing with a whipping action that is great for every hitting style and level of experience, including experienced hitters, younger players and hitters that are new to using a wood bat. 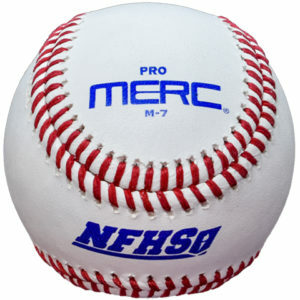 This bat is cupped. The MERC ELITE 271 model features a 2 1/2" barrel, 6" parallel wall and a long taper to a medium-to-thin handle (15/16") creating a very well-balanced bat.